A combined flight-sim and first person shooter. 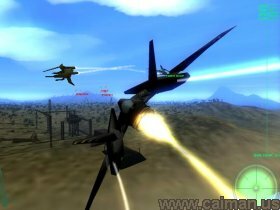 In this challanging game you have to complete 24 missions in large outdoor scenery, and you alternate between flying a plane, driving a buggy, and running around on the ground shooting stuff. What more could anyone ask for?